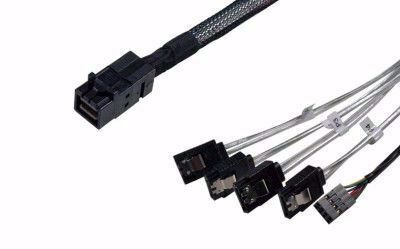 Internal HD MiniSAS (SFF-8643) and Multilane 4X MiniSAS (SFF-8087) cables will connect your internal HBAs, RAID controllers, expanders or adapters with hard drives, tape drives and backplanes. 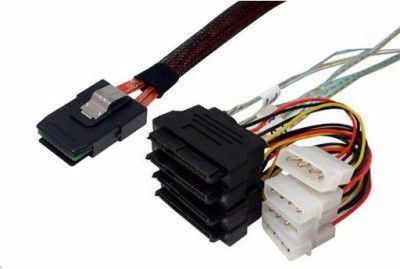 All multilane connectors have 4-channels, that is, they are capable of driving 4 devices (or more with use of an expander) and can fan-out to single channel connections. 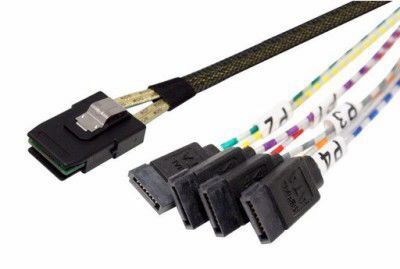 Please note that SFF-8484 to SFF-8087 cables and any SAS cables that terminate in a SATA connector on one end are directional. We mark the controller/HBA/expander end as "Host" and hard drive/backplane end as "Device". 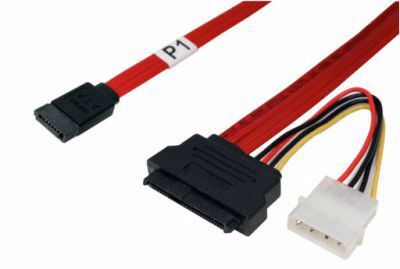 These cables are high quality, 12Gb/s or 6Gb/s rated and proven reliable. Many are available in large quantities. 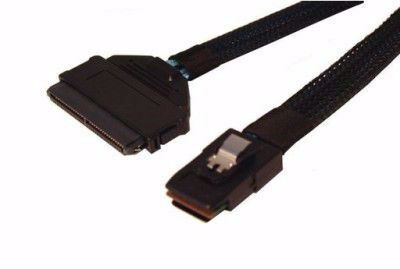 Not sure what cabling or adapter is right for your situation? We answer these questions all the time via phone, chat or email - contact us. 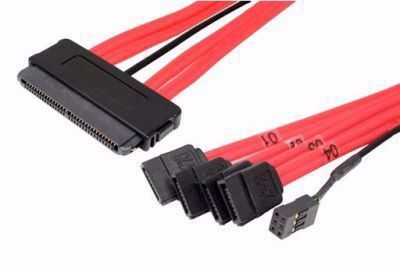 We particularly advise checking with us if you are purchasing adapters, as there are quite a few details to consider based on your application.